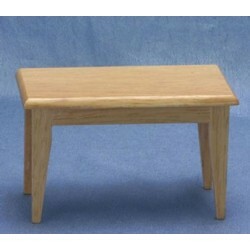 A new miniature dining room table will reinvent the look of your dollhouse's dining room decor. 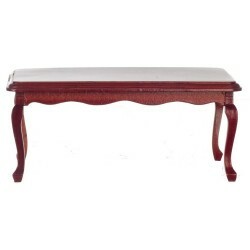 Whether you prefer casual, antique, modern contemporary, or sheer elegance, our selection of miniature tables has something to offer at a price you can surely afford. 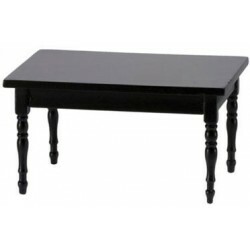 Redecorate and redesign your dollhouse with this Table, Black. Your decor and collection of miniatures will be taken to another level of fabulosity. 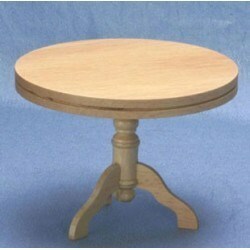 You will love this Pedestal Kitchen Table, Oak as it complements your other miniature dollhouse furnishings. Now is the time to design a great new look! Adding this Kitchen Table, Oak to your miniature collection is just what you need to make your dollhouse a home, and showcase your fabulous taste. You will love this Table Black as it complements your other miniature dollhouse furnishings. Now is the time to design a great new look! 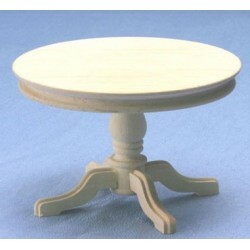 Adding this Unfinished Round Table to your miniature collection is just what you need to make your dollhouse a home, and showcase your fabulous taste. 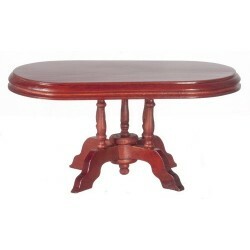 You will love this Oval Dining Table/Mahogany as it complements your other miniature dollhouse furnishings. Now is the time to design a great new look! 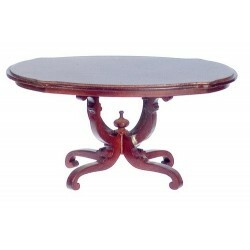 Enhance your dollhouse collection with this Walnut Round Pedestal Table. Added to your other dollhouse miniatures, it is a complement for a variety of styles and tastes. 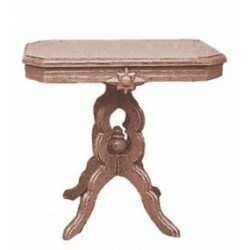 You will love this Table Walnut as it complements your other miniature dollhouse furnishings. Now is the time to design a great new look! Adding this Queen Anne Dining Table/Walnut to your miniature collection is just what you need to make your dollhouse a home, and showcase your fabulous taste. 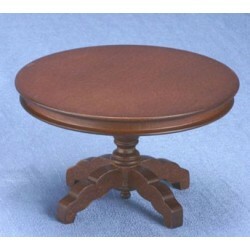 You will love this VICTORIAN TABLE KIT, BROWN as it complements your other miniature dollhouse furnishings. Now is the time to design a great new look! 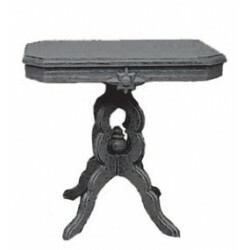 Adding this VICTORIAN TABLE KIT, BLACK to your miniature collection is just what you need to make your dollhouse a home, and showcase your fabulous taste. 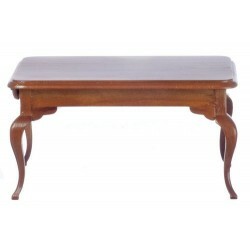 You will love this Dining Table/Walnut as it complements your other miniature dollhouse furnishings. Now is the time to design a great new look! 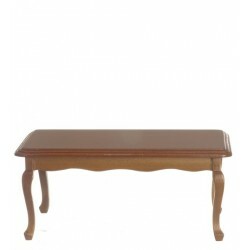 Enhance your dollhouse collection with this Dining Table/Mahogany. Added to your other dollhouse miniatures, it is a complement for a variety of styles and tastes. 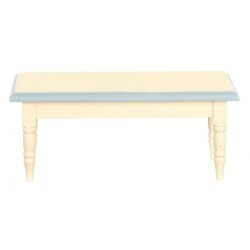 You will love this Dining Table/white/bl.trm as it complements your other miniature dollhouse furnishings. Now is the time to design a great new look! Adding this Dining Table/Walnut to your miniature collection is just what you need to make your dollhouse a home, and showcase your fabulous taste. 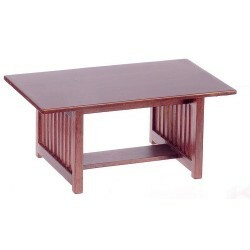 You will love this Dining Table/Mahogany as it complements your other miniature dollhouse furnishings. Now is the time to design a great new look! Adding this Charles Ll Dining Table/m to your miniature collection is just what you need to make your dollhouse a home, and showcase your fabulous taste. 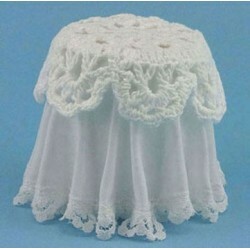 Spruce up your dollhouse with this miniature LACE TOP SKIRTED TABLE, WHITE. 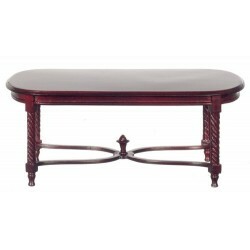 We have many miniature Dining Room Tables for that finishing touch.